The ‘Arancia’ is a skin contact white wine. Basically, it is a white wine, made in the style of red wine. Wilyabrup Viognier-Chardonnay must ferment. A skinsey, textural orange wine and the second wine from our ‘Barrel Batch’ range. The 2018 ‘Arancia’ Must Ferment Viognier Chardonnay is an (orange) twist on our 2017 Viognier Chardonnay blend. The name ‘Arancia’ comes directly from the distinct orange colour achieved by this wine. Arancia means Orange in Italian. The ‘Arancia’ is a skin contact white wine. Basically, it is a white wine, made in the style of red wine. We chose to make a skin contact wine like this to continue our focus on producing food paired wines. Skin contact white wines are fantastic food wines, and show off other qualities of the grapes and terroir and winemaking than non-skin contact white wines. Our ‘Arancia’ is an interesting wine and can be a polarising wine for those that prefer conventional style white wines. We have made a small batch to showcase the different style and add another colour of wine to our repertoire. This wine is un-fined, and un-filtered. It was bottled with some lees in the bottle to keep providing that textural element we think makes this wine. In our opinion, the ‘Arancia’ is best served shaken, so that the lees are suspended and it is cloudy. We are excited and proud to present this wine as the first ‘orange’ wine of our collection. 2018 was a great vintage for Margaret River bringing generous yields and excellent fruit, particularly with Chardonnay shining throughout this growing vintage. The consistent weather made for optimum growing period and as a result substantial volumes. 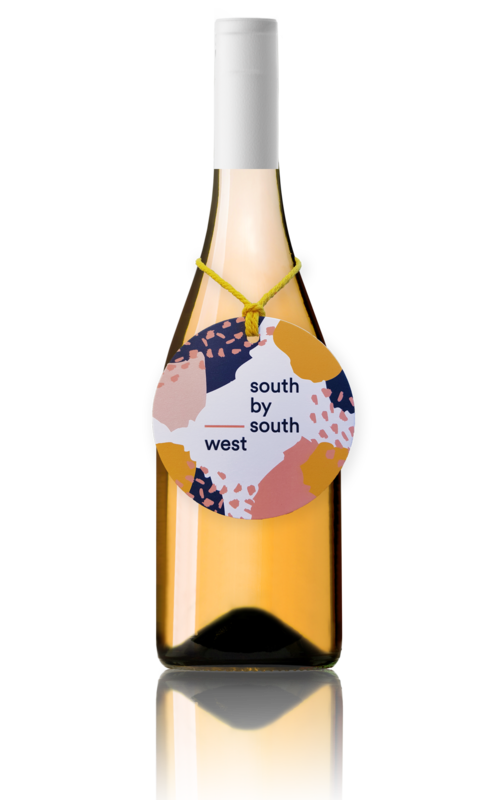 Both varietals for this blend were sourced from the Miamup Vineyard in Willyabrup, Margaret River. The wine is made up of a blend of 55% Chardonnay and 45% Viognier. The Chardonnay spent five days on skins and the Viognier spent 10 days on skins to extract varietal aromatics, flavours and tannins. Both fermentations were in open fermenters, before being put to three-year-old French oak barriques. The juice was matured on lees for six months with some occasional stirring to enhance mouth feel and complexity. The ‘Arancia’ is un-fined and un-filtered and bottled with some harmless lees in bottle. In a glass this wine is pale orange, with a cloudy appearance when shaken and the lees are suspended. Dominated by white flowers and gentle citrus aromatics. The palate presents as a skinsey, textural wine with notes of pears, bitter herbs and a balanced level of acidity on the finish. A lighter tannin weight than one might achieve from a red wine, although notable tannins none the less. We aim for minimal intervention to let the fruit express itself, yet there are certain things we do need to maintain the quality and integrity of this wine. We’ve added minimal sulphites to stop the malolactic fermentation, stabilise the wine and ensure its shelf life.